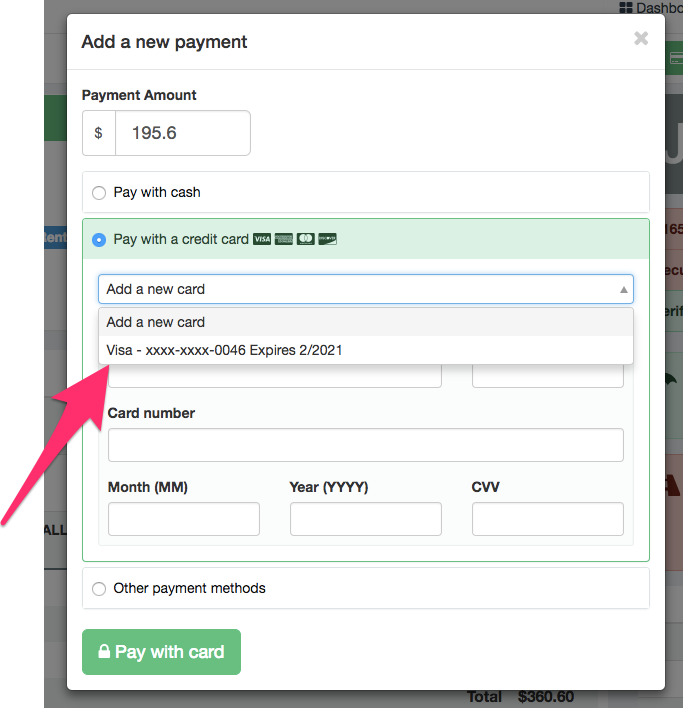 Once a renter uses a card to pay for something in Wheelbase, the payment processor will retain the information, allowing you to charge the card later by simply selecting it from the drop down box. From here you can proceed as normal. This feature will work during the rental and even after it has returned, allowing you to charge renters for any additional charges incurred during the rental.